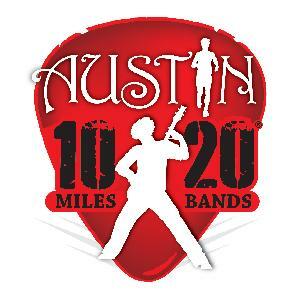 The Austin 10/20 is a new running experience! It’s time to run ten and celebrate the distance! Ten miles is tough, ten miles is different, ten miles feels great. It’s an accomplishment to finish and a challenge to race. You can walk and wheel and join the field as the Austin 10/20 hits the streets. Take a detour from the usual race path and check out the cool ten mile distance! Austin 10/20 has named the Capital Area Food Bank as a beneficiary for the 2016 race. Show your support by making a donation! For every $1 donated, the Food Bank can provide 3 meals for hungry Central Texans. The Central Texas Food Bank, 501c(3) non-profit, is the largest hunger-relief charity in Central Texas providing an average of 34 million pounds of food and grocery products, nutrition education and social services outreach to 46,000 clients each week through a network of 250 human service charities. Headquartered in Austin, Texas, the Food Bank serves 21 counties in Central Texas, an area about twice the size of Massachusetts. Our mission is to nourish hungry people and lead the community in ending hunger.